We tell you all that's changed on the recently launched Hyundai Creta facelift, compared to the model it replaces. 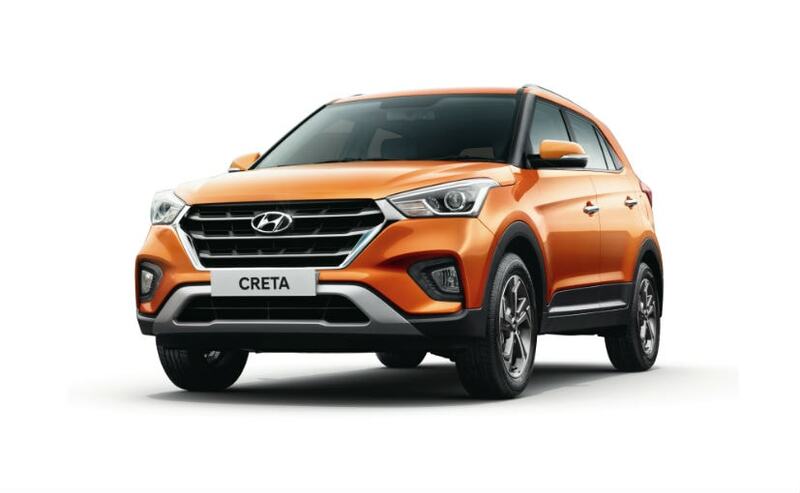 The 2018 Hyundai Creta facelift was launched earlier this week with prices starting at ₹ 9.44 lakh, going all the way up to ₹ 15.03 lakh (all prices ex-showroom pan India). The Creta facelift was a much awaited model, given how popular the compact SUV is for the automaker. Averaging 10,000 units every month, the 2018 Creta facelift is only expected to improve those numbers, especially with the cosmetic updates, new features and revised pricing thrown in the mix. But how different is the 2018 Hyundai Creta facelift than its predecessor? Let's have a look all the changes on the 2018 Hyundai Creta when compared with the 2015 version. The change isn't dramatic but it's what you would expect from a facelift. There are plenty of changes to keep the model fresh compared to the outgoing version. At the outset, the compact SUV gets the new Hyundai family cascading grille instead of the chunky triple-chrome slats. The grille is now larger and wider and meets at the headlamps, unlike separate units on the older version. The front bumper has been revised and gets a brushed silver skid plate but that's available only on the top end variant. But the signature look of the car is the new fog lamp housing which has been revised and LED DRLs surround the foglamps which actually enhances the looks of the car. The silhouette is identical to the outgoing model but the changes are comprehensive, thus making the new Creta look a lot more appealing. Hyundai has also managed to put on 17-inch machine cut alloy wheels on the new Creta, though these re restricted to the top variants. The rear features more substantial upgrades with the reworked taillights that get new detailing, while the bumper now gets the dual-tone treatment with revised reflectors and and wider faux diffuser. Beyong the cosmetic tweaks, there are two new colours on offer as well - Marina Blue and Passion Orange, while Hyundai India is also offering a dual-tone paint option with a black roof. Hyundai hasn't made massive changes to the layout in the cabin of the 2018 Creta facelift, and the interiors remain a familiar affair with a five-seat setup. The black and beige colour scheme continues to part of the cabin of the compact SUV, but the range-topping SX+ trim gets an all-black cabin. Adding some contrast though are the orange highlights, which can be added to other variants via Hyundai's new interior pack. On the feature front though, the Hyundai Creta facelift sees massive upgrades. Height adjustable driver's seat, sliding armrest, speed sending door locks, front seatbelts with pre-tensioners are now standard which deserves a big thumbs up. Safety features like dual airbags, ABS and EBD remain standard across the range. The top variants now include features like an electric sunroof, cruise control, six-way power adjustable driver's seat, wireless phone charger (which is a segment first), and also a 7-inch touchscreen infotainment system with MirrorLink, navigation, smartphone connectivity with Apple CarPlay and Android Auto. The top trims get six airbags along with ESC, VSM and Hill Assist Control. Hyundai has made no changes to the engine options under the hood of the 2018 Creta facelift. The 1.6-litre petrol engine continues to be on offer producing 121 bhp and 151 Nm of peak torque. The motor comes paired with a 6-speed manual and automatic transmission on offer. Diesel power, on the other hand, comes from two engine options. The 1.4-litre diesel is the more fuel efficient and produces 89 bhp and 220 Nm of peak torque, while paired with a 6-speed manual. There's also the 1.6-litre CRDi diesel with 126 bhp and peak torque of 260 Nm, mated to a 6-speed manual and automatic gearbox. Hyundai, of course, says that it has tweaked both the engines to provide more fuel efficiency. The new Hyundai Creta facelift is ₹ 15,000 more expensive than its predecessor for the base 'E' petrol variant, whereas the top-spec SX (O) petrol is more expensive by ₹ 57,000. Prices for the base Creta facelift diesel remains unchanged, but the top-spec SX (O) variant is now more expensive by ₹ 44,000.